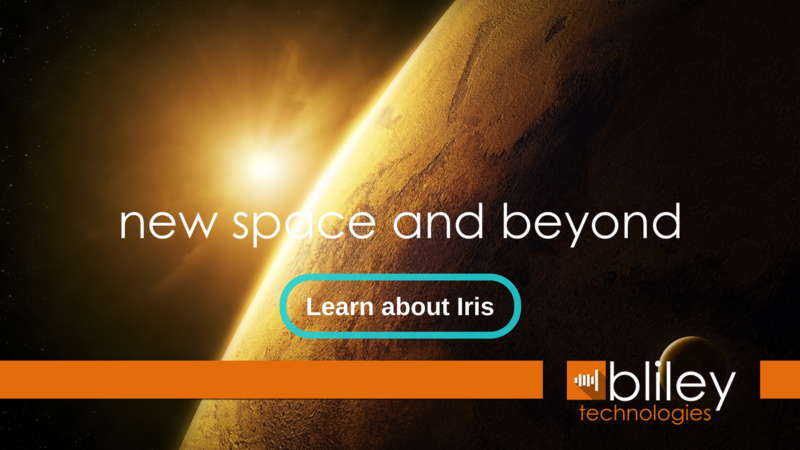 With the recent start of the new space revolution and the rapid growth of Low-Earth-Orbit (LEO) constellation technology in recent years, there have been TONS of questions being asked as to what all these new satellite innovations and technologies are all about. What exactly is the purpose of these large LEO constellations? Why are so many satellites needed? How are LEO satellites different from traditional satellites? Which frequency bands will these constellations operate on? Trust me, you’re going to want to know ALL of the answers. The LEO industry is expected to skyrocket in the near future with many new groundbreaking opportunities arising as new technologies are developed. Some even refer to this growth as the fourth industrial revolution. So, hold on tight! You’re about to have some great LEO information floating your way. Q1. What is the purpose of large LEO constellations? Purpose of these large constellations is to have constant 100% global coverage. According to Internet Live Stats, there’s a little less than 4 billion current internet users in the world. As a matter of fact, at the time of this article being written, there are currently 3,661,891,984 internet users in the entire world. (Click the link to see what it is right now in real time). This leaves about another 4 billion people in the world without internet access. 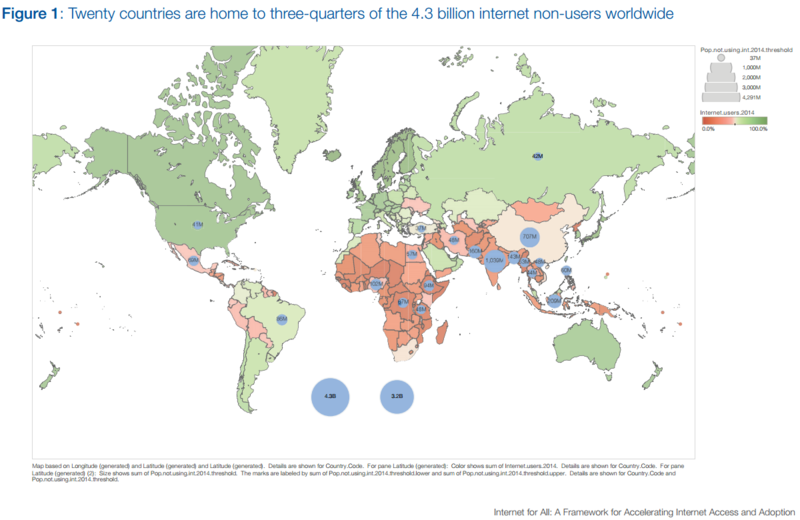 Therefore, only about 40% of the entire world has current access to the internet. Luckily, with the new developments in LEO satellite constellations, this is about to change. Not only will LEO constellations help the world get closer to 100% internet access, but they can also provide 100% coverage in other areas such as constant worldwide surveillance and imaging. Some more detail on the purposes of LEO satellites will be in the next question. Q2. 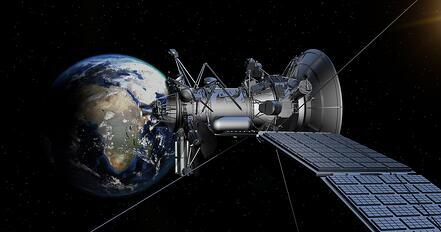 Why are so many satellites used? A geosynchronous orbit (sometimes abbreviated GSO) is an orbit about the Earth in which a satellite has an orbital period that matches the rotation of the Earth on its axis (one sidereal day) of approximately 23 hours 56 minutes and 4 seconds. A geostationary orbit, geostationary Earth orbit or geosynchronous equatorial orbit (GEO) is a circular orbit 35,786 kilometers (22,236 mi) above the Earth's equator and following the direction of the Earth's rotation. Q3. How are these LEO satellites different from traditional satellites? Q4. Which frequency bands will these constellations operate on? Unfortunately, there is currently no straight forward solution that can be provided as to which frequency spectrum is used by the LEO satellites. However, if C-band was used, there would be a need for larger antennas on the ground to support a C-band LEO constellation. This will be a drawback for these new LEO satellite constellations that are trying to provide global connectivity to anyone at home. C-Band is also currently widely used which means interference would also be a problem (whether it be LEO satellites interfering with the existing C-Band users or reverse). It is important to know that the higher the band (Ku, Ka, V-Band, in increasing order), the more bandwidth is available. Also, the higher the frequency the less widely it’s used. This means less overall interference. To play devil's advocate, the higher in frequency the operations are, the more propagation loss there is. Therefore, the signal will be more susceptible to rain fade. 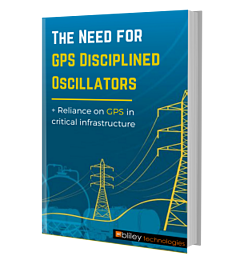 There are guidelines that are set and frequency spectrums that are allocated that decide which bands can and cannot be used for particular applications. Review this chart which provides a pretty good picture as to which bands are used and for which applications. The frequency spectrum that is being used by these LEO satellites is also predicated on approval from government ran regulatory bodies such as the Federal Communications Commission (FCC) and the International Telecommunications Union (ITU). Companies that wish to establish a LEO satellite constellation should ensure that the spectrum that they choose to use does not interfere with any existing satellite constellation systems (such as GEO constellations) and terrestrial networks. There is a formal process in filing an application to get this approval. They also do get put on public notice so users can raise any concerns. To give you an idea with what current LEO constellations are using... LeoSat and OneWeb filed with the FCC to use Ku-band for the RF links between the satellites and user terminals, and Ka-band for the RF links between the satellites and gateway earth stations. SpaceX originally filed for a very similar solution in the Winter of 2016, but then refiled to use a V-band solution for all satellite uplinks and downlinks in the Spring of 2017. These filings are all public and can be found on the FCC website. Here’s an additional list for GEO Satellite Operators. 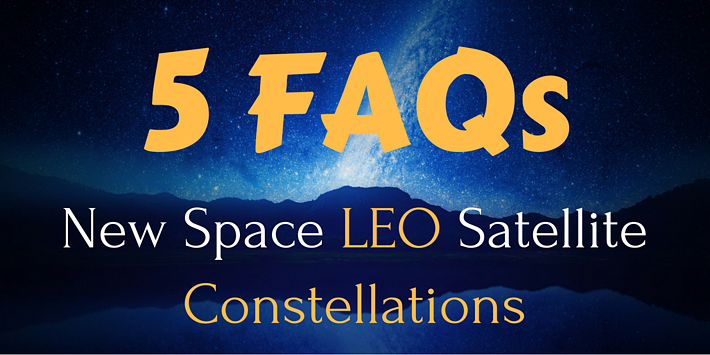 Hopefully these 5 frequently asked questions has helped answer many of your questions regarding LEO satellite constellations. Still unsure about something? Leave a question in the comments below and one of our experts will get back to you with an answer.